It is a universally-acknowledged fact that when men gather for the purpose of drinking beer that their conversations inevitably turn towards the lofty and noble objective of solving the world’s problems. This is a good thing, and proof in my view that beer drinking is not the source of all social evil as some would have us believe. However, it is also an observable fact that the longer the “session” lasts, the more feral men become. So this leads me to the point of this letter. 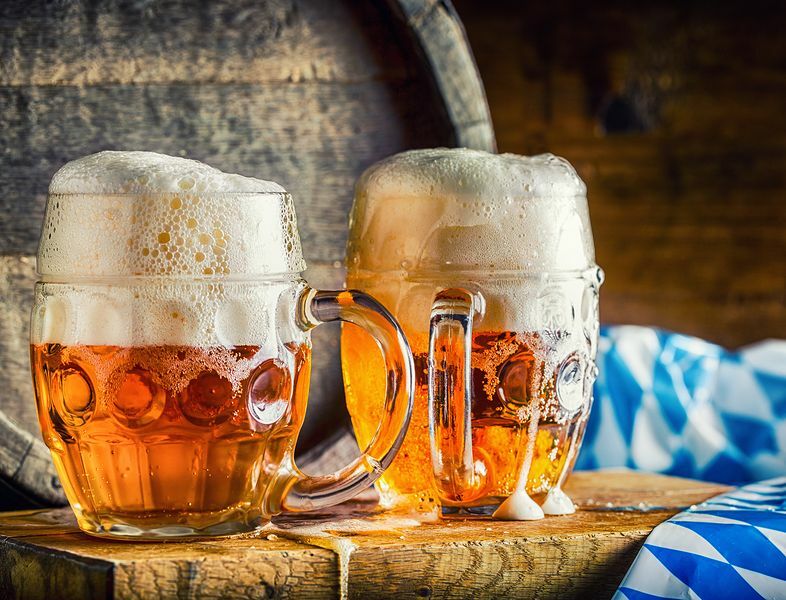 After reading about the Hangover-Help remedy in your last newsletter, I feel that all homeopaths should immediately set about building upon the noble strength inherent within beer drinking, that is, where it makes all men to want to solve the world’s problems. But at the same time, the homeopaths must seek to rid the drinking ritual of its negative effects, such as weight-gain and feral behaviour. Hence my suggestion of homeopathic beer. It must lead to tranquility in the imbiber, rather than act as a catalyst for all things feral. Now, knowing that homeopathy makes all substances safe while enhancing their health-giving benefits, I would like to know if any illustrious homeopaths have yet embarked upon the noble cause of potentising beer? What a godsend to the planet! Is there a homeopathic beer with the wondrous characteristics I have described above? This letter was forwarded for comment to our resident homeopath, Fran Sheffield. Your letter raises some “interesting” points! Looking for stimulation through activities such as fast driving or listening to loud music. Now, before you race off and buy some homeopathic alcohol to take to the next session, let me tell you a little more. Homeopathic alcohol will do a mighty job of putting things right but only if your symptoms, and those of your companions, are similar to the ones above. If they are, then homeopathic alcohol is an excellent match for your ‘symptom totality’, as homeopaths like to call it, and will be of enormous help. On the other hand, if these alcohol-related symptoms are just a part of what you suffer because symptoms from other health complaints also bother you, your symptom totality will then be very different and need an entirely different remedy. Alas, the homeopathic alcohol will be of no help whatsoever! And please don’t think that homeopathic beer will turn foolish men into solvers of the world’s problems, for this delusional symptom is only caused by the excessive consumption of beer. Taken in appropriate doses, homeopathic remedies of beer or anything else, will only normalise symptoms and return the sufferer to health. They cannot turn delusions into reality. So, Concerned Citizen, I realize this may not be the news you are hoping to hear but do not despair. Help is still at hand. If you follow the tutorials that are about to run with each newsletter, the mysteries of homeopathy will be revealed. You will find out what your symptom totality really is, and how it should be treated. Why, you will even learn how to make your own homeopathic beer to better explore its health-giving rather than delusional effects. Now that would information well worth knowing, and something to share with us all!